Beebe Healthcare is proud to recognize Cindy Palmer, a registrar with Pre-Arrival Services, as the October Living Our Values Every Day recipient. Cindy Palmer was recognized for living these values. 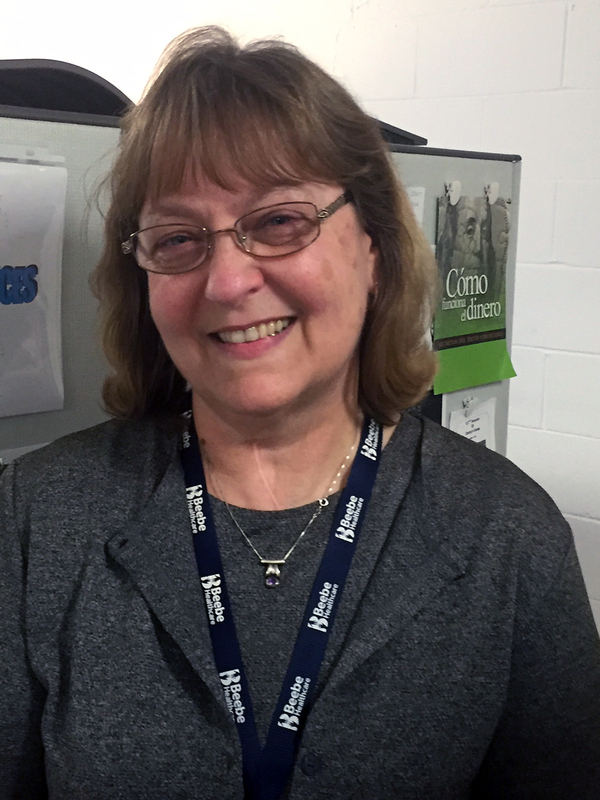 During the course of her work as a registrar, Cindy was witnessed going above and beyond for a Selbyville resident. The resident, who called Pre-Arrival Services, was upset because his public transportation bus ran late and he missed a scheduled vascular test. Cindy stayed on the phone and called around to find out which test he was supposed to have. She was able to schedule him for the test at a location closer to his home. 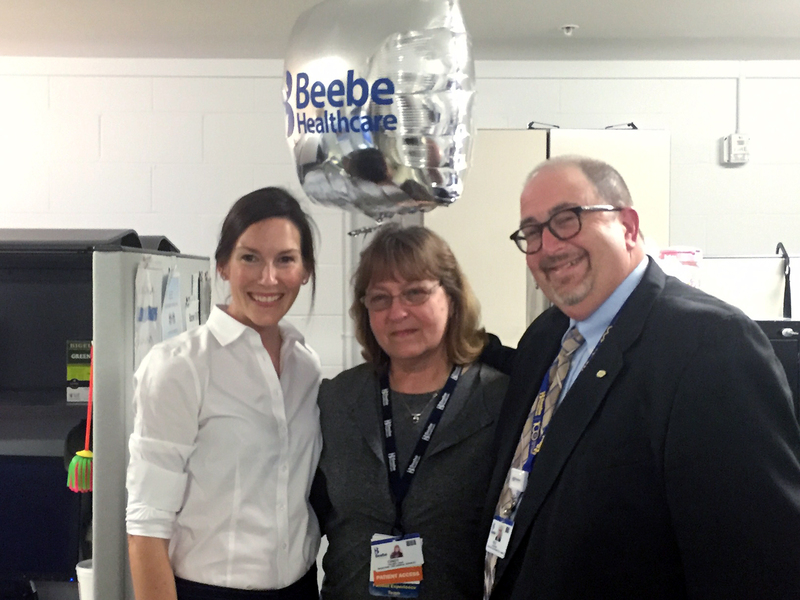 Shown are Lyndie Hertrich, Cindy Palmer, and Richard Schaffner, Executive Vice President and Chief Operating Officer, Beebe Healthcare.